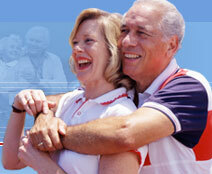 There are a number of natural alternatives available to the arthritis sufferer. While some are a waste of time and money, others look very promising and worth a try. News of natural treatments (even effective ones) will rarely come from your physician, however. This is for two reasons. One, since it is often not possible to patent many of these natural treatments, large pharmaceutical companies (like Phizer, Merck, and Pharmacia) have no incentive to finance studies or research on these treatments. Since glucosamine products are not typical "patent" material, no company has the financial resources (tens of millions) required to "educate" the medical community on the treatment even though it has shown to be more beneficial than Cox-2 inhibitors, is much safer, and has been proven to effectively rehabilitate cartilage (something Cox-2 inhibitors and NSAIDs do not do). As such, it can often take a number of years for news to spread on an effective treatment such as glucosamine and a major initiative by nonprofit groups like the current study the National Institute of Health is doing on glucosamine. You may be surprised to know that glucosamine has been known to effectively allieviate arthritis pain for more than two decades, yet only now is the information truly getting out and being recognized by mainstream doctors. I hope the following review of natural treatments will show you that you do indeed have choices, and lead you in the right direction to effectively ease your arthritic pain. Glucosamine - can be effective in maintaining healthy cartilage and rehabilitating cartilage that has deteriorated. It has been shown to reduce arthritis pain and to halt the progression of osteoarthritis. It is important to look for high quality (pharmaceutical grade) glucosamine and a product that delivers such glucosamine in liquid form as this is absorbed more effectively than glucosamine in capsule or pill form. Chondroitin - works synergistically with glucosamine to assist in rehabilitating the cartilage that is damaged in your body, increases the flow of fluid into your cartilage to add resiliency, and provides structure and flexibility to your joints. Boswellin - has been used for centuries in the Indian Ayurvedic system of medicine to maintain healthy joints. Also serves to reduce swelling and improve mobility where individuals experience stiffness in the joints. Yucca - blocks the release of toxins from the intestines that inhibit the normal function of cartilage. Yucca also has anti-inflammatory properties. Omega 3 and Omega 6 Fatty Acids - these act as anti-inflammatory agents. Bromelain - helps to inhibit pro-inflammatory compounds which reduces pain and swelling. Manganese - essential for a healthy immune system and aids in the production of mucopolysaccharides, which are critical for maintaining healthy joints. Vitamin A - essential for growth and repair of body tissues and it also aids in bone formation. Vitamin C - mobilizes your body's self-defense mechanisms that in turn, assist your immune system in overcoming disease. It is also a powerful antioxidant required to produce collagen, which is the main supportive protein in cartilage, tendon, and connective tissue. Vitamin E - acts to protect red blood cells and unsaturated fatty acids from oxidation damage. It also assists your body in maintaining healthy membrane tissue. Note: For information on Syn-flex®, a product that contains pharmaceutical quality liquid glucosamine and all of the above ingredients, visit the website of Activex America. Acupressure - Similar to Acupuncture but without the needles. Massage is also often beneficial for sore areas. Magnets - 1996 study in Tokyo found magnets worked just as well as acupuncture. Has been shown to reduce inflammation and pain in some users.